As a father of two young kids, I spend many hours of my life reading children's books. Many of them are a lot fun, but many of them are rather mind-numbing, so I'm always on the hunt for stuff to read them that turns a bit left of center. 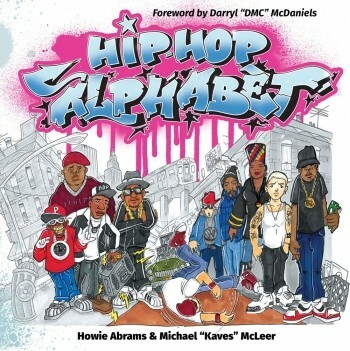 That's why I was excited when I saw an announcement for Hip-Hop Alphabet appear on my Facebook feed. 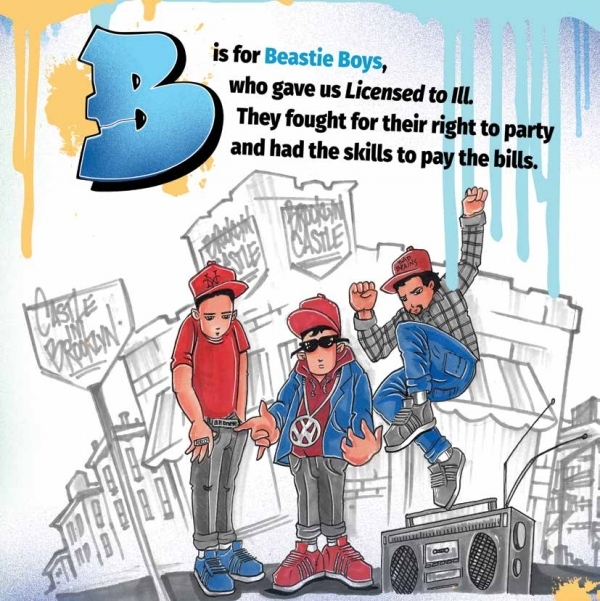 Featuring a foreword by Darryl “DMC” McDaniels of Run-D.M.C., Hip-Hop Alphabet aims to help teach kids both the fundamentals of reading and rap music. Talk about a worthy cause! 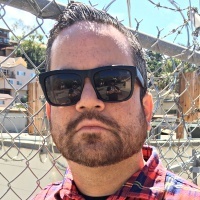 The book matches fun rhymes from former A&R executive (In-Effect and Roadrunner Records) author Howie Abrams and graffiti-styled drawings by Michael "Kaves" McLeer, a famed street artist and member of the music group Lordz of Brooklyn. In terms of the musical artists covered in the book, the list reads like the lineup of a rap mixtape I would hand down to my daughter and son to school them on the early greats of the movement. A Tribe Called Quest, Beastie Boys, and Public Enemy just a few of the artists given the graf treatment by Mr. Kaves. My son is only two, so he's still a bit too young to grasp the copy, but my 5-year-old daughter started asking me a ton of questions, wanting to understand the meaning behind many of Abrams' rhyming entries. I had a blast getting into that, breaking down trivia tidbits that she could easily absorb. She seemed genuinely interested in learning more about the artists while reading the book, so I would call that a win for the folks behind Hip-Hop Alphabet.